Happy Halloween! 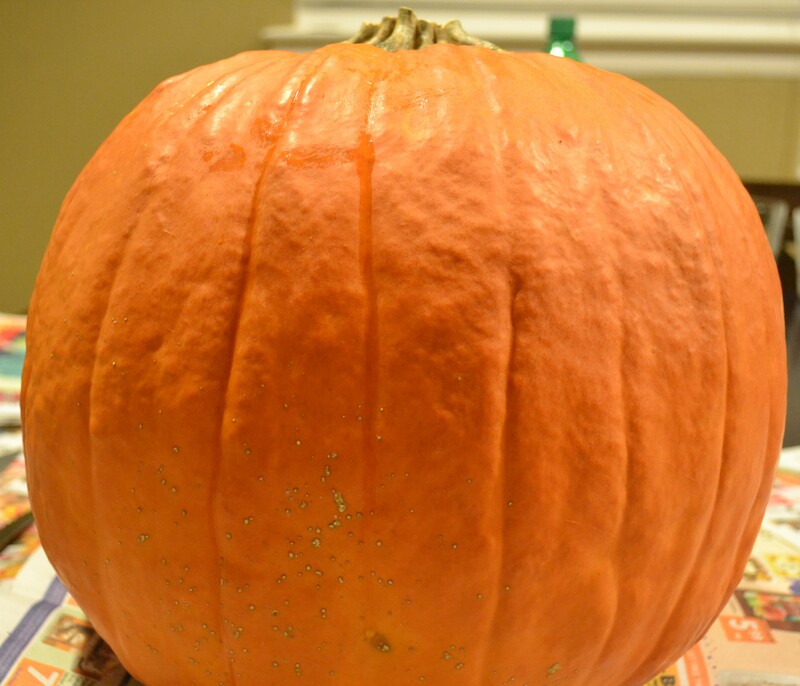 Now you know I had to do a pumpkin carving post. 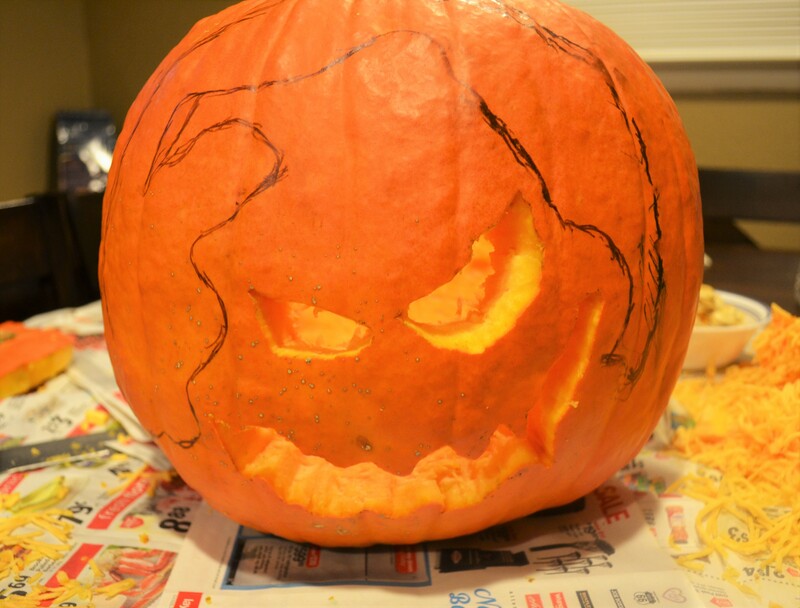 I didn’t want to do your average Jack-O-Lantern and I have done a Jack Skellington pumpkin a few years ago (it’s somewhere still up on my Instagram); so I decided I’d do another character from A Nightmare Before Christmas. 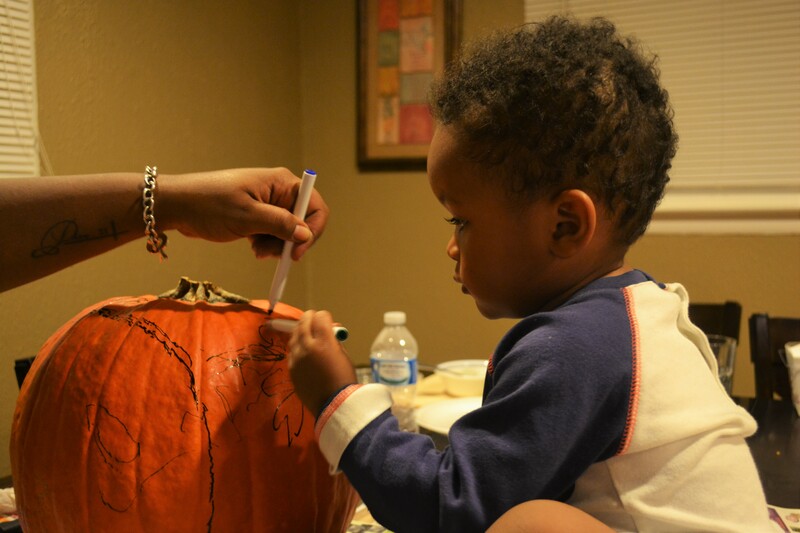 By the way, This DIY features my Nephew. So here’s a step by step of how I did it. Also, when you carve, be careful, take your time, and when you cut out the shapes do the small details after the shape is cut out. Lastly, have fun. 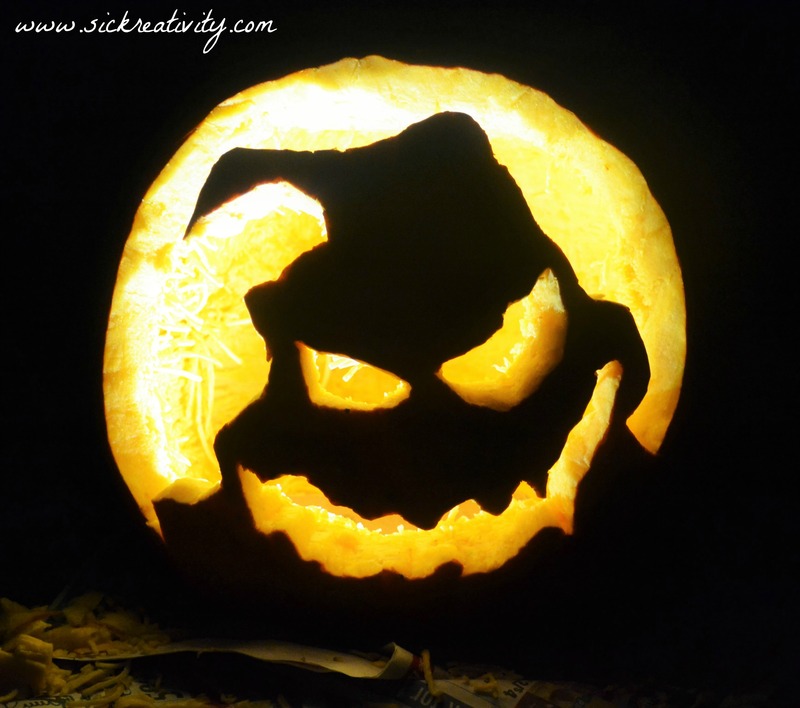 WARNING: CARVE AT YOUR OWN RISK!!! MUUWWAAAAHHHHHHHHHH!!!! Step 1: First you want to lay down your newspaper, so that when your finished it makes the clean up 100 times easier. 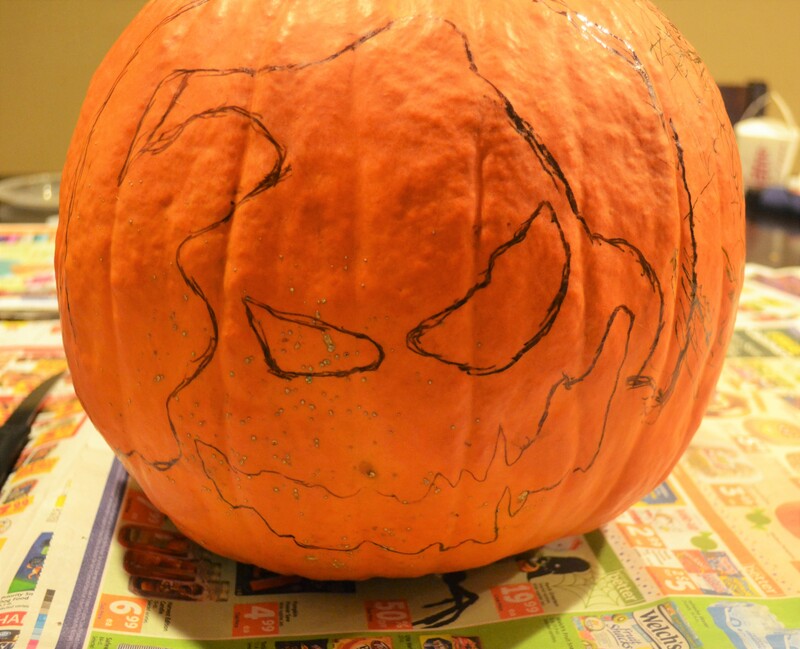 Step 3: Then get your pumpkin. Step 5: When your finished drawing it should look something like this. 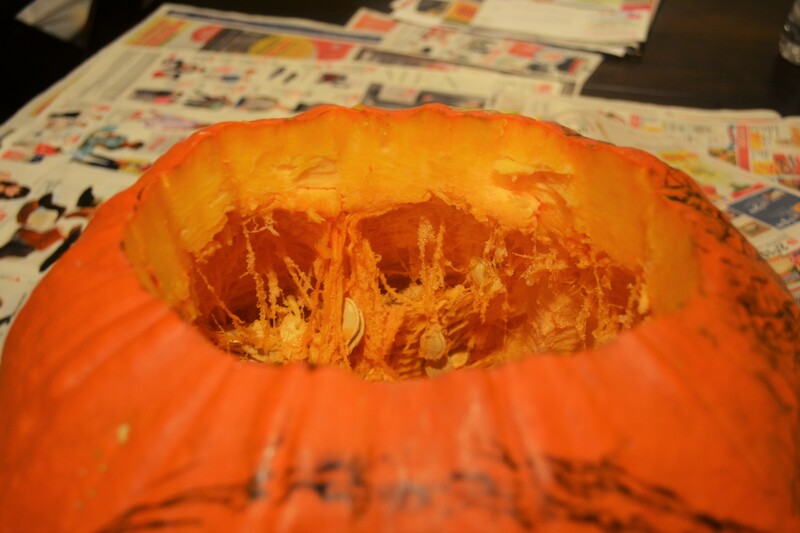 Step 6: Using your big knife cut a circle around the top of the pumpkin and pry it off. 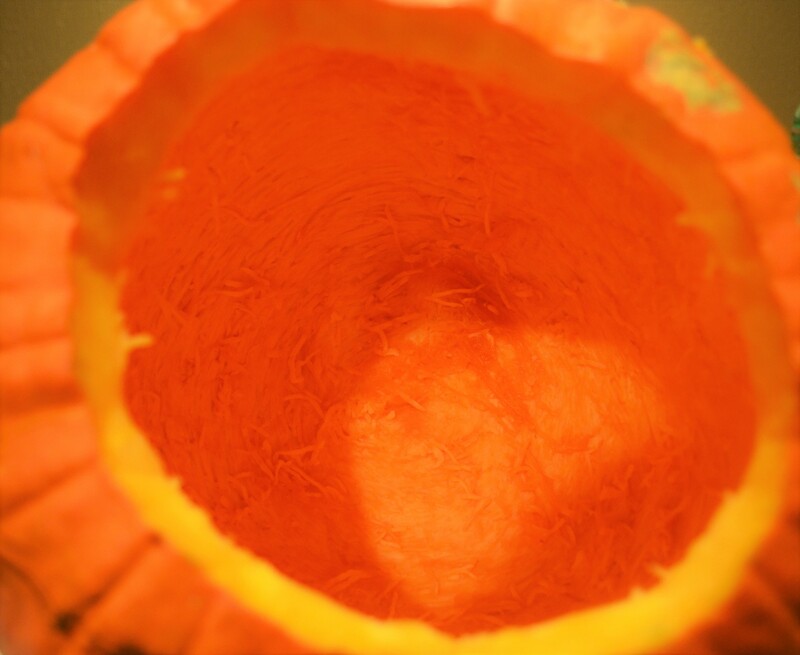 Step 7: Then empty the pumpkin as much as you can, using your hands and a big spoon. 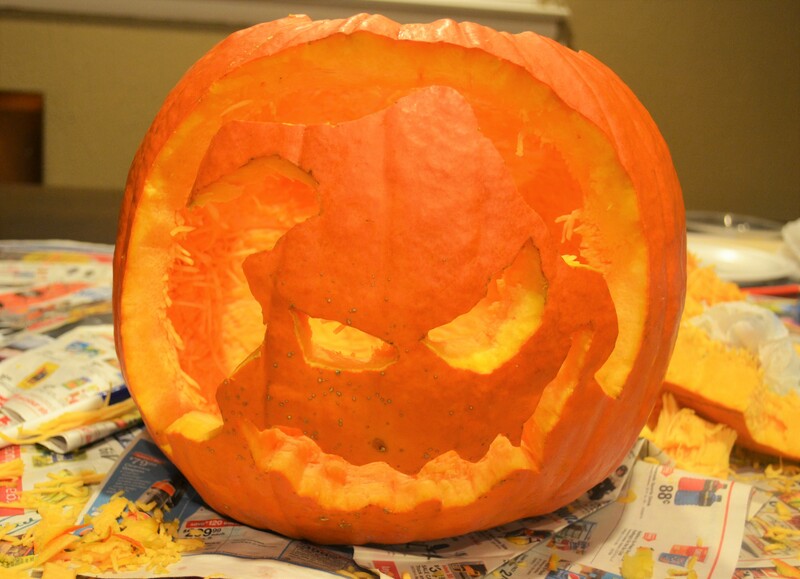 Step 8: Using your small knife, carve out the eyes and mouth. 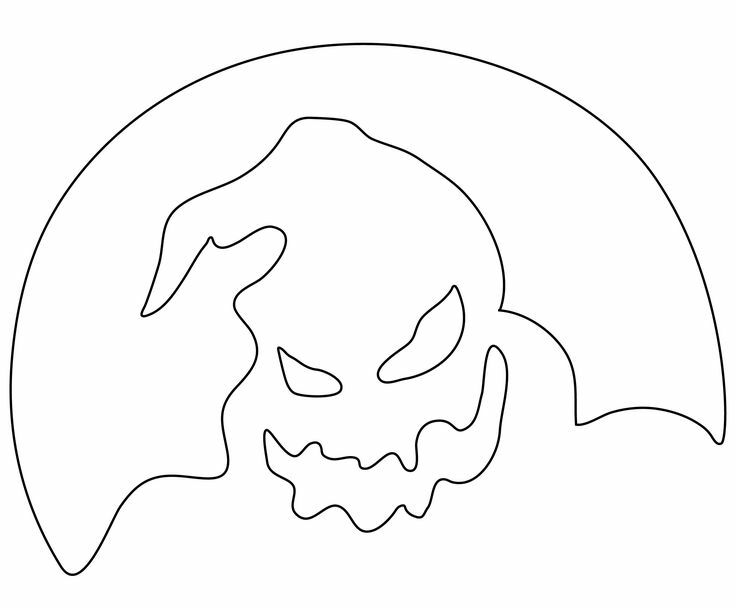 You MUST do this first, or else if you do it after you do the background your “Oogie Boogie” will break. Step 9: Then cut out the background. Be careful when pulling the piece out of the space. It might be best to cut the background in sections when pulling it out. Step 10: Light it up and your all done.